March 3, 2010 -- the time of the year when families celebrate their daughters' day. 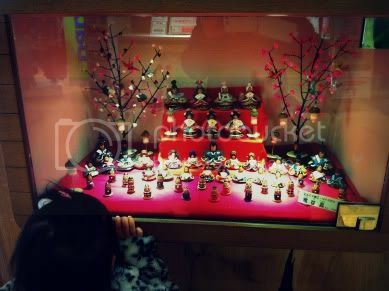 Also known as Hina Matsuri or Doll Festival. 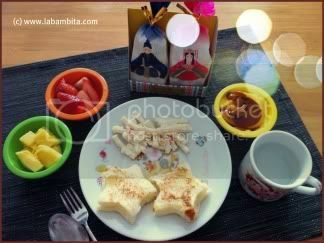 A Japanese holiday when we wish for the healthy growth and happiness of our daughters. It is actually our 3rd year of celebrating this special day. You can read back my previous posts about this event HERE . Anyway, here is Anzu looking at this cute Ohinasama Dolls being displayed at the mall. Kawaii! I love this set, so tiny and modern. But ANzu already have her own dolls which is more traditional. It was a gift from her Baba and Jiji (grandparents). Due to unavoidable circumstances, we celebrated Anzu's day the simplest way. Wish I prepared a Chirashi (Spring Sushi), Hamaguri Ushio-jiru (Clear Clam Soup), Hina doll appetizer, and Strawberry mochi... ANyway, there's always next time. I really love the idea of having a day to celebrate our daughters, so unusual. Japanese traditions are really cute. As always your Azumi's meals are so appetizing. Patay, my daughter saw the photo and she said hmmnnn, tapos nanghingi ng apple! Japanese people really have unique celebrations. I love your Hanami out there. This is so cute and sweet. We don't have a similar festival here in Pinas. Waaahhh. Anyway, Askim will get to celebrate The Children's Day this April cos Turkish people also have that. Happy Girl's Day to you and Anzu. 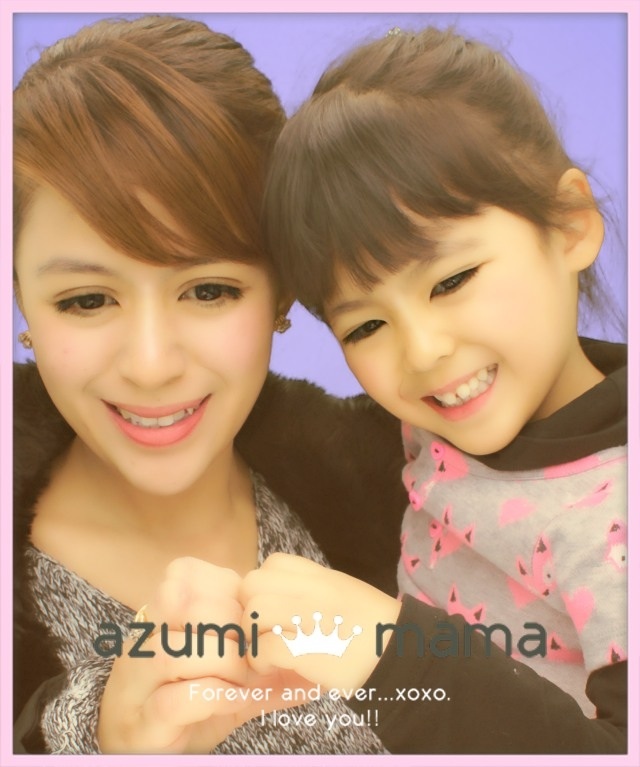 Japan has so many rich traditions even for a young girl like Anzu. 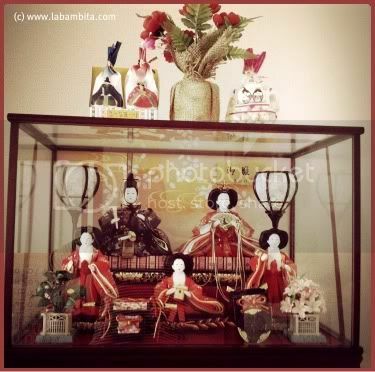 The dolls are so beautiful and exotic. Great that Anzu has her own doll collection. Thanks for the post. God bless you all always. wow! interesting..the dolls are cute. Hmm, last march 3 also was my erika's 5mos.old birthdy:) heheh! grattis to your daughter's day! followed here my new blog bams! Salamat po Sir Mel.. as always :) God bless you more.